While Mimi Chakraborty has been criticised for her lack of political experience, she argues that her desire to "work for the people" is experience enough. 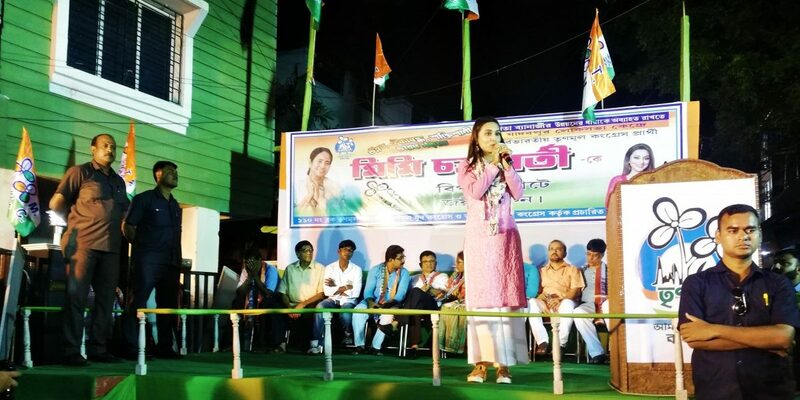 Mimi Chakraborty speaking at the rally. Kolkata: It’s Friday evening. The Trinamool Congress (TMC) has organised a public election meeting at the intersection of a busy locality in Garia, south Kolkata. Coming under Ward 110 of the Kolkata Municipal Corporation, Garia is part of the prestigious Jadavpur Lok Sabha constituency. At around 6 pm, the stretch from the metro station to the venue reverberates with the voice of a woman speaking over a loudspeaker. 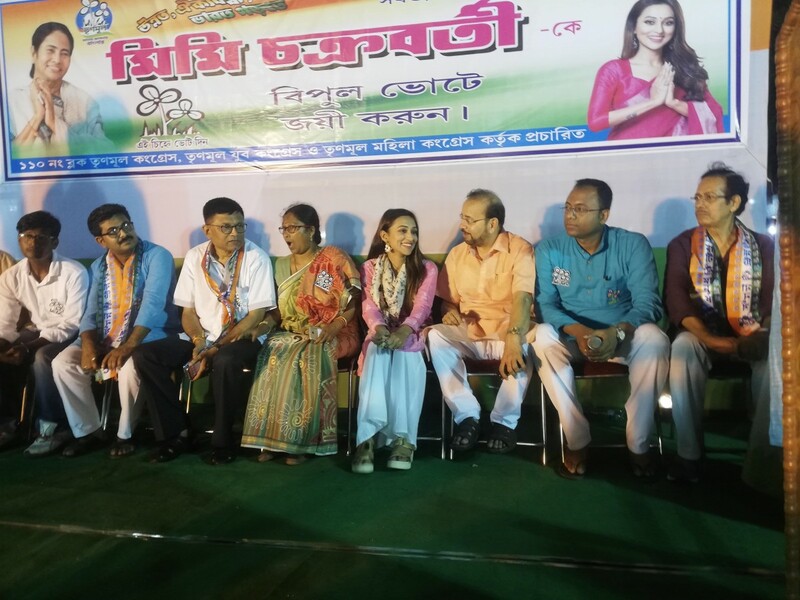 She is urging people to come to the meeting and meet the popular Bengali film star Mimi Chakraborty, who is the TMC candidate in this constituency. Jadavpur goes to polls on May 19, the seventh and final phase of the Lok Sabha elections. A car at the venue. The stretch from the metro to the venue cuts through a residential area and a public park. The path is flanked by TMC flags and graffiti painted on the walls of houses. 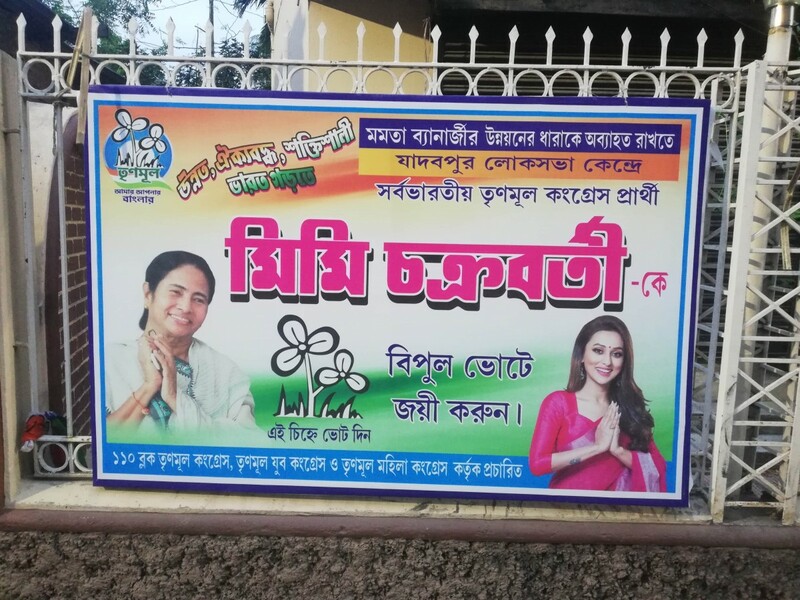 There are huge posters of a smiling Mamata Banerjee on one side and a beaming Mimi Chakraborty on the other. 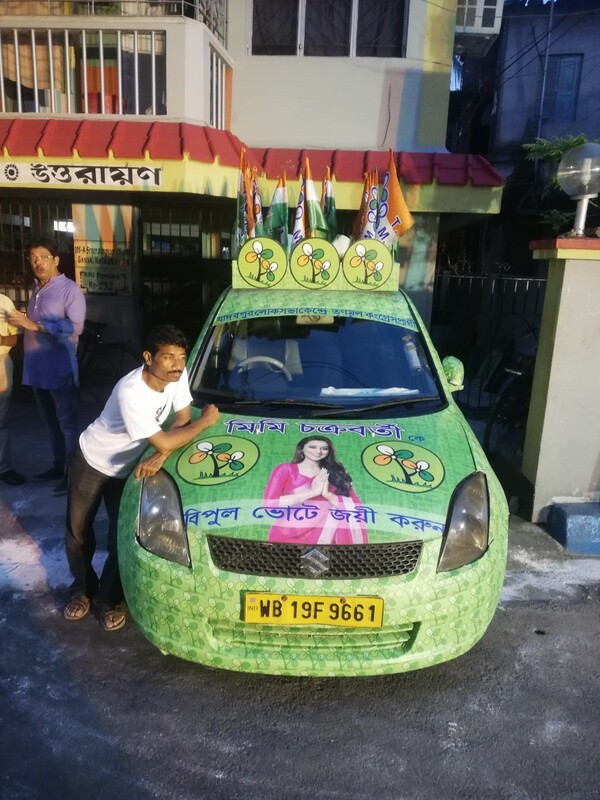 Many autos passing through the area have images of Chakraborty and the Bengal chief minister plastered at the back. There’s just a smattering of Communist Party of India (Marxist) flags along the stretch, even less of the BJP and literally none of the Congress. All of this points towards the dominating presence of the ruling TMC in the area. The Jadavpur Lok Sabha constituency is one of the most crucial seats in the political history of West Bengal. It was from this constituency that the current chief minister of West Bengal, Mamata Banerjee, first became a parliamentarian in 1984, defeating the veteran CPI(M) politician Somnath Chatterjee. The TMC has fielded popular Bengali film and TV actress Mimi Chakraborty from here. Chakraborty does not have any prior political experience. She is up against the current MP from Bolpur, Anupam Hazra. A TMC member until recently, Hazra was expelled by the party in January. A month later, he joined the BJP. The CPI(M) has fielded Bikash Ranjan Bhattacharya, a senior advocate and former mayor of Kolkata (2005-2010) here. The current Lok Sabha MP from the Jadavpur constituency is TMC’s Sugata Bose, a historian at Harvard University and the grand-nephew of Subhash Chandra Bose. At the venue of the public meeting, a makeshift stage and 12-13 rows of plastic chairs have been set up right at the centre of an otherwise busy thoroughfare. It is still early and few seats are filled. Apart from Chakraborty, some important political leaders are on the list of speakers. Around 7 pm, all the seats are full. People have been brought in trucks to the meeting. One of the key initial speakers is Manish Gupta, Rajya Sabha MP. “This time it is an ideological fight. It is the fight to protect the constitution,” says Gupta, mocking Narendra Modi’s slogan of ‘achhe din’ . More than 200 people attend the meeting. But no one seems particularly interested in what Gupta has to say. Soon after delivering his speech, Gupta leaves the venue – even before Chakraborty arrives. The man able to elicit the most positive response and several rounds of applause is Malay (Debabrata) Majumdar, the councillor of Ward 96, which falls under the Jadavpur constituency as well., “Neither vaam (Left), nor Ram, will work this time around,” he shouts. He is able to say this without any fear of hurting the party’s election prospects, even though the majority of the people in the audience are Hindus. The speakers talk about how voting for Chakraborty is voting for Banerjee. “Vote for Mimi Chakraborty thinking about Mamata Banerjee,” says Majumdar, even though the celebrity star has 4.6 million fans on Facebook, 1.5 million and 685.9 k followers on Instagram and Twitter respectively. Chakraborty finally arrives in a black SUV at around 8:40 pm. She is surrounded by bodyguards, who stop anyone from coming too close to the candidate. In her speech, the TMC candidate tackles the oft-repeated media comment about her being a political greenhorn. “I will say this. Yes, I do not have experience. Definitely. But I don’t think that to work for people, to stand beside people, one requires experience. You people have loved me and blessed me. Whatever name and respect I have acquired today is all because of you,” she says. A poster for the campaign. Her speech lasts barely four minutes. She greets the crowd one last time with folded hands and leaves the venue. The public meeting is over by 9 pm. The crowd seems satisfied. After all, they did get much more than a glimpse of a Tollywood star they are used to seeing only on television and in theatre halls. All images by Sourodipto Sanyal. 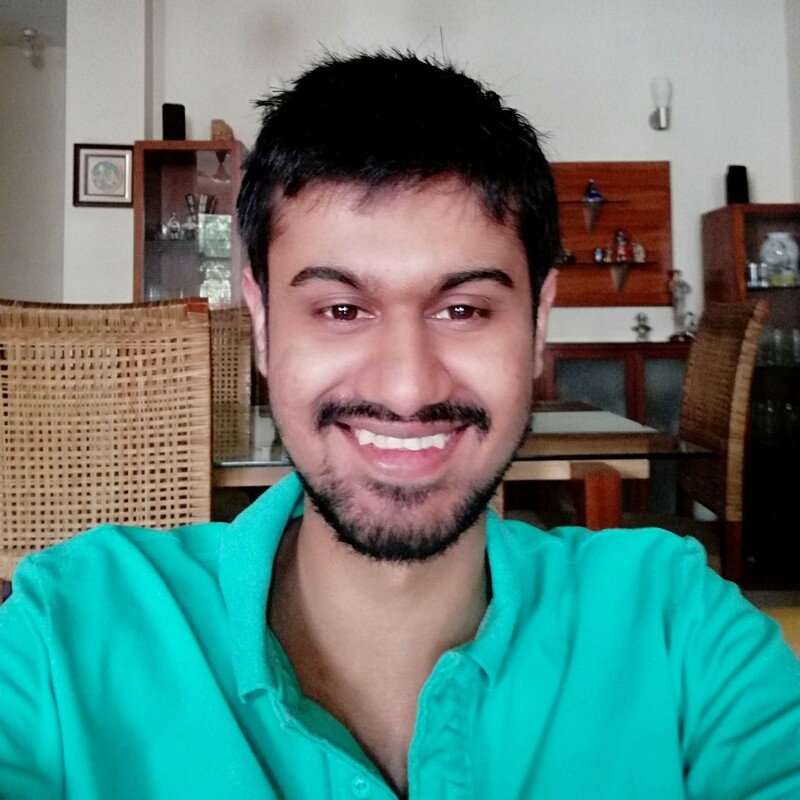 Sourodipto Sanyal is a freelance journalist currently based in Kolkata. He largely writes on Indian politics and cinema, and tweets @sourodipto1.